Read on for Selecky's recommended reading list as she proves it again. 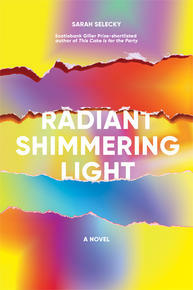 Radiant Shimmering Light is about women, friendship, art, and spirituality, and what happens when those gifts become transactional. 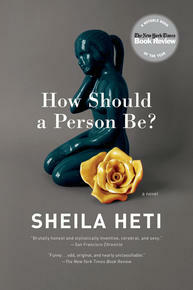 If you make your living by creating and maintaining a personal brand, how do you live a real, connected, sacred life? 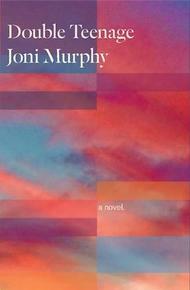 This novel is about women: entrepreneurs, artists, and visionaries. The two protagonists are 40 years old, unmarried, and they do not live or work with men. The book isn’t experimental in form, and yet it felt risky. Was it okay to write this? A story about women who aren’t wives or mothers, a story without an important male character? There was a voice in my head telling me it wasn’t allowed. Like many writers, I’m comfortable on the edge of an experience, observing other people. Often, I don’t feel like I fit in. So my list of favourites below shows my admiration for rebels, misfits and seekers. I’m inspired by these writers because of their audacity. All of them put into words something that I’ve never seen articulated before—both in content and form. They question the status quo, cross boundaries, and do whatever they want. These books have given me permission to write beyond what I thought was allowed to do. To write and get away with it. These essays quench my thirst for clear, smart critical theory, written with love and footnotes and personal stories and experiences. Why has academic writing consistently tried to separate the heart from the head? Why? 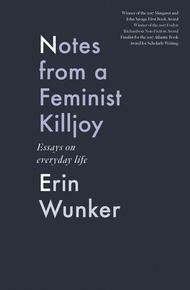 Erin Wunker’s essays are perfect, especially Chapter 2—"Notes on Friendship." This is a novel about female friendship, girls becoming women in a patriarchal culture, sameness and difference, the US and Canada, love, obsession, danger and release. In a memorable scene that involves a character binge-watching Twin Peaks, Murphy writes deftly about why it was such a compelling show for young women. I felt like my teenage self had finally been seen. Another fantastic book about female friendship. Also about art, and the sickness that can come from an idea you’re writing/not writing, and the search for authentic connection. Whenever I pick up this book, I feel surprised and shocked by it. It’s so bare and raw: reading it makes me feel like a live electrical wire. 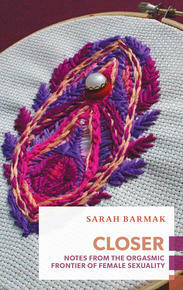 The subtitle of this book is “Notes From the Orgasmic Frontier of Female Sexuality”—these essays show through story and research just how little is known about women’s bodies and how they work. Still. Right now. 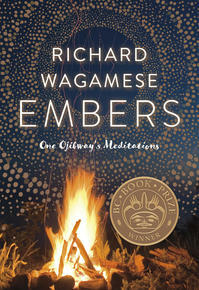 I read this book and felt awe, excitement, disbelief, and grief in turns. There should be a word for that moment you realize how deeply you’ve internalized the story of a culture that doesn’t serve you. There should be a word for that moment you realize how deeply you’ve internalized the story of a culture that doesn’t serve you. This book is like nothing I’ve ever read before. In her introduction, Gordon explains that it’s “a rewrite of a re-translation of an almost-hundred-year-old Swiss-German novel” (The Walk, by Robert Walser). 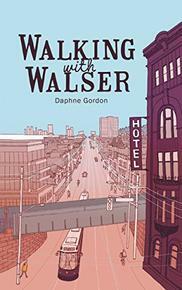 It’s a book about judgment, criticism, and ultimately, love—set clearly in Toronto’s West Queen West neighbourhood. The original book is narrated by a man, who is re-imagined as a woman. The language and diction makes it feel as though the characters are superimposed on one another—in this incredible act of creation by Gordon, they actually become one with one another. 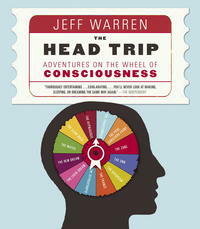 Engrossing, funny, well-researched, and personal—this book takes you on a journey through different states of consciousness, and introduces you to the weirdness and magic of your own mind. Since reading this book, I’ve understood my insomnia in a different way: getting eight straight hours a night is a modern invention, not a “natural” way to sleep. I also learned about dream states from this book, and how they can affect creativity. Oooh, there’s so much good stuff in here! This beautiful book is a printed lecture, bound by Gaspereau press, and I don’t even know if it’s in print anymore. If not, I’m sorry. I’ve returned to it so many times over the years. It’s a book about the magic of writing. In it, Domanski writes, “It takes a great deal of effort to see what’s in front of you, whether that’s a stone, a mountain, or another person. 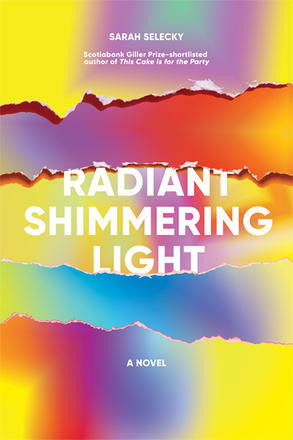 After much watching, after much witnessing of the metamorphoses from object to presence, you find that everything is self-luminous.” My protagonist, Lilian, sees auras around things—perhaps I was influenced by Domanski, and wrote about auras in an attempt to illustrate this literally. I finished writing my novel in the winter, in the darkness before dawn. This book was my companion through those dark mornings. I’d light a candle, turn on my lamp so a pool of light would hit my desk, and read a few passages from this book before immersing myself back into the weird, hyper-coloured world of my book. Here’s an excerpt: “There is just you and the universe and this creative fire moving through your fingers in bold palettes of colour chasing the dark away until you emerge in the sure, calm light of morning and feel like a writer again.” I felt like he was writing just for me. Which is, of course, the magic of writing: the transmission. Wagamese died last spring, right after I finished my final draft. I was saddened when I heard the news. 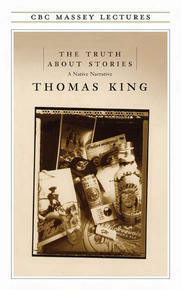 His spirit lives in this book: creative, generous, and compassionate.